They call themselves 'The Black Magic Movement'. But who are these teenage girls whose decision to stand up for themselves sparked off a debate around age-old codes of conduct at South African schools? They are the group of girls who stood up against their school's (Pretoria high School for Girls) racist and discriminatory code of conduct. They are the group of young girls who refused to change who they are or their appearance to conform to the school's standards. They are the girls who let the world know that their hair doesn't define them, but is an extension of who and what they are. For those who still think the issue is purely about hair need to take a closer look at the debate. This is in fact a struggle against discriminatory and racist practices against black people and the way they look. The refusal by the girls to conform and use relaxers and straighteners to 'fit in' is a fight to be accepted for who they are. It is almost a week since the girls ignited a debate around black beauty and what is deemed 'appropriate' for black women. 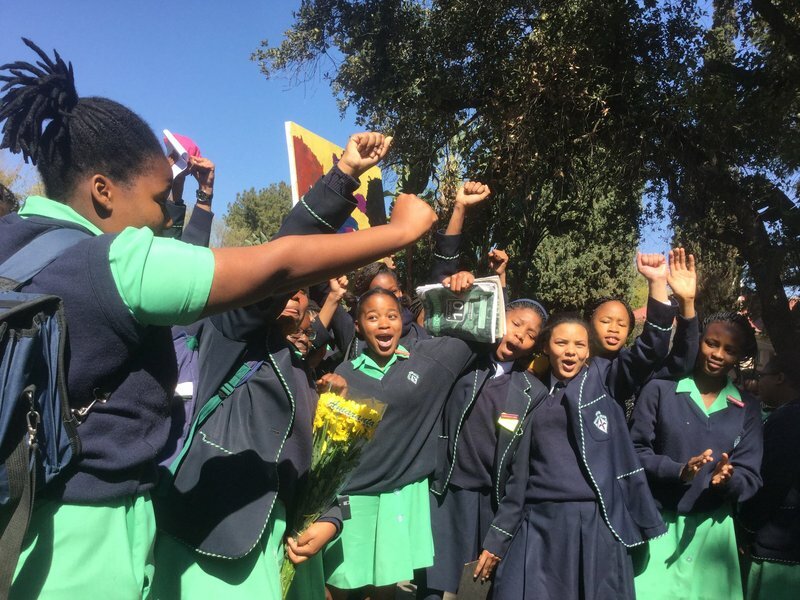 The debate has left the boundaries of Gauteng and has also encouraged other black girls across the country to also stand up for themselves and challenge their own school's racist policies. Jacaranda FM News reporter Slindelo Masikane sat down with the faces that sparked the debate, Sepati (15 years old), Wendy (19 years old), Zulaika (13 years old) and Nomfundo (17 years old). What is the atmosphere and mood around school like since protests begun and the subsequent suspension of the hair policy ? Are you satisfied with the changes made by the school? Zulaika, you are the most recognizable face of the movement. You are seen in the protest video on the front lines. Were you not afraid? What's your message to other black and marginalized girls being subjected to the same practices?